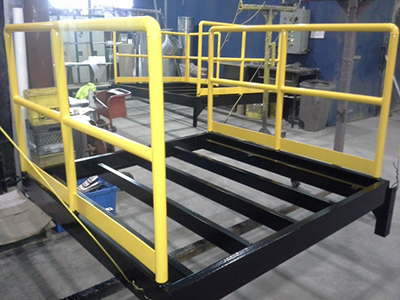 The powder coating process involves three basic steps – surface preparation or chemical pre-treatment, powder application and curing. 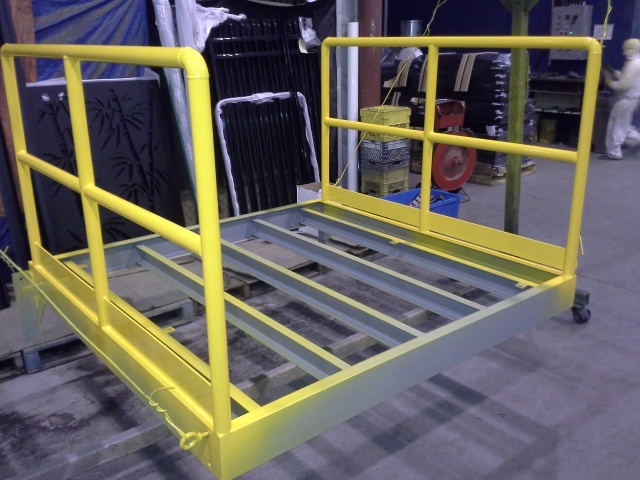 For all products that are to be to be powder coated, we first determine whether sand blasting or chemical cleaning is required. 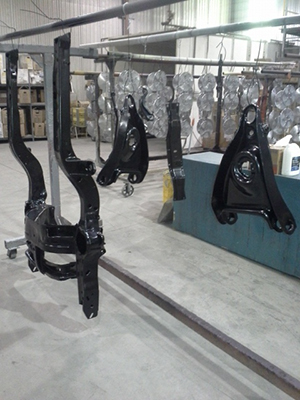 Cleaning is essential to the powder coating process. 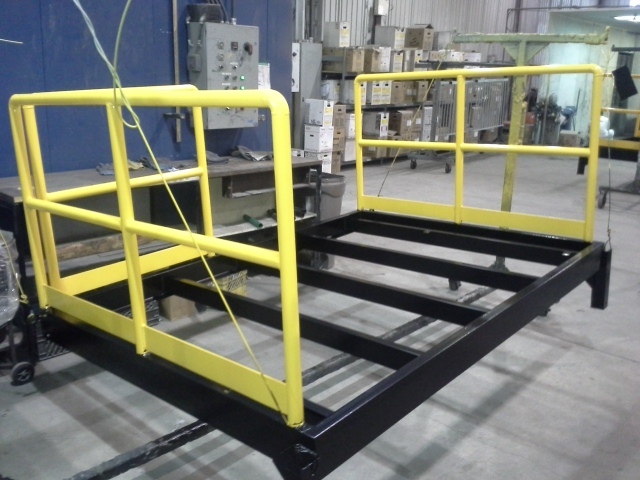 The method used depends on the size and the material of the product to be powder coated, what exactly needs to be removed and what the finished product will be used for. Our four-stage dip tanks (3’w x 5’d x 12’l) feature an alkaline wash, fresh water rinse, iron phosphate and fresh water rinse. 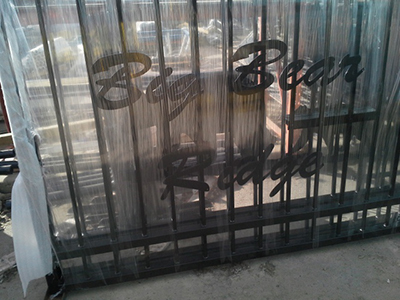 This is used for parts under 3’ x 12’ that do not hold water. Our four-stage steam generator, with the same process as above. 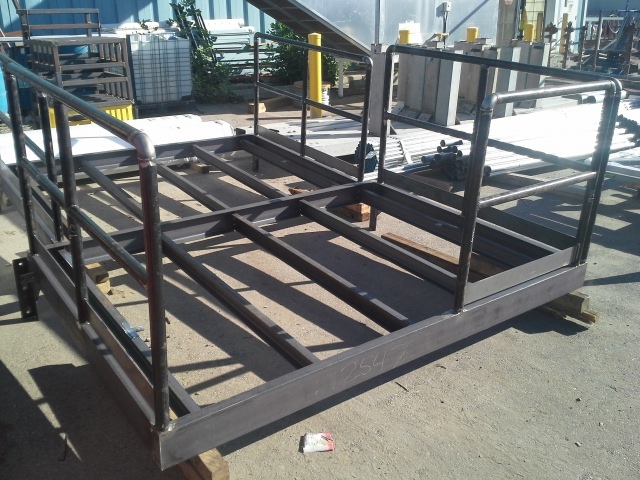 This is used for all parts that are larger than our tanks and for pieces that would retain liquid in our dipping process. 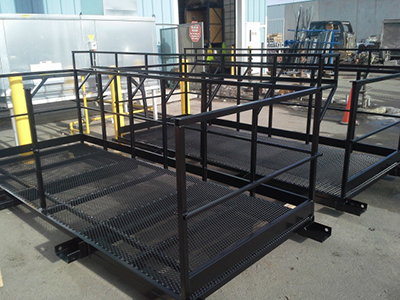 The choice of the dip tanks or steam generator ensures that all parts are properly pretreated prior to powder coating. 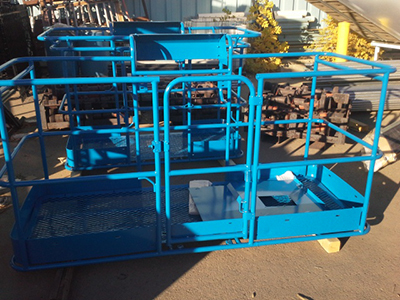 Mechanical surface preparation or sandblasting may be required for the removal of old finishes, scale, rust, corrosion products or other manufacturing residues. Failure to remove all of these may result in premature coating failures, resulting in cracked and peeling coatings with the parts rusting out. A zinc primer plus a topcoat is recommended for all exterior products made of steel. Following proper part preparation, the powder is applied in our Nordson spray booth (8’w x 8’h x 22’l) by Nordson Sure Coat manual spray guns. The parts are electrically grounded and the powder is negatively charged as it is sprayed from the tip of the gun. The powder is held in placed electrostatically until it is rolled into the oven for curing. 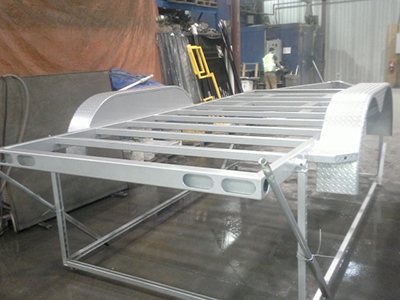 For curing, products are placed in our Kiss-Corp oven (8’w x 8’h x 21’l), at a temperature of between 350 and 420 degrees for twenty minutes depending on materials and thickness. 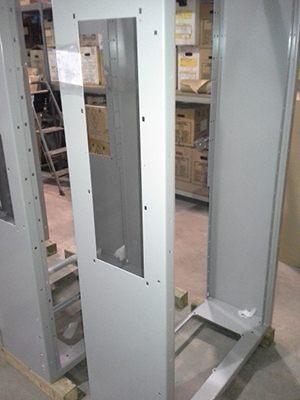 After all the parts of the product have sufficiently cooled, they are sent to the shipping department to be packaged and picked up by our customers. 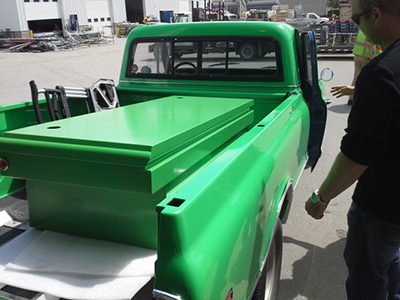 For larger orders or for commercial clients, we offer a pick-up and delivery service. Please contact us directly for further details. 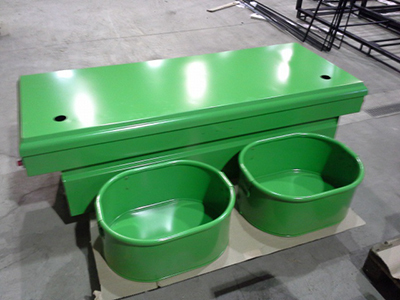 The entire powder coating process is environmentally friendly and is virtually pollution-free. Since no solvents are used during powder coating, very few pollutants known as volatile organic compounds, or VOCs, are released into the air. Unused or overly sprayed powder can also be recovered, minimizing waste that can be disposed of safely and easily.